We learned plenty about Hoosier Baseball on Thursday. We learned Matt Lloyd was named a Second Team All American Utility Player by Collegiate Baseball News. We learned Coach Lemonis was named Head Coach for this Summer’s 14 and under USA Team. 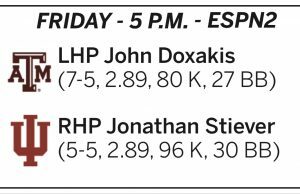 And we learned our pitching match up for tonight’s game vs Texas A&M. 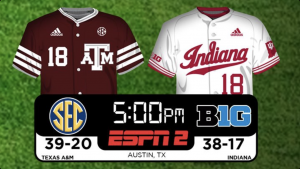 We are going to learn plenty more about Hoosier Baseball in the next few days too. Can we play focused and execute in a hostile environment? Can we find a way to put up significant runs on a Friday starter? Can we be more worthy than a throw away sentence in a D1 Regional Preview? 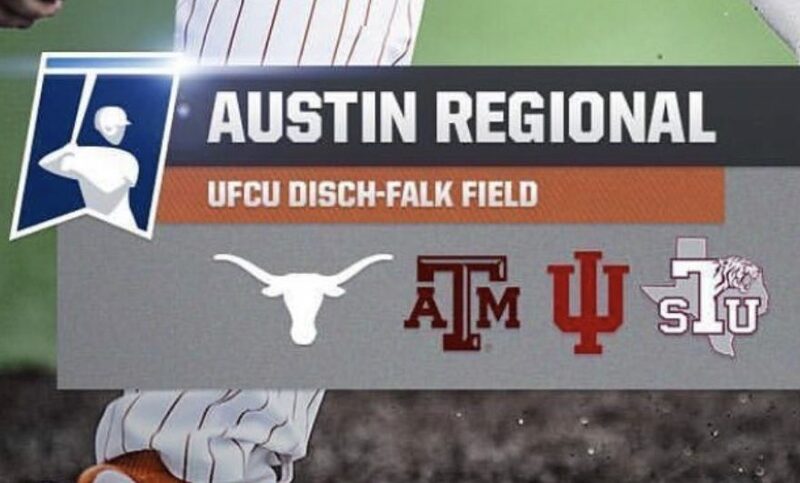 Can we beat teams from the SEC and the Big 12 and advance to the Super Regionals? We’ll start to learn some of that starting at 5pm. 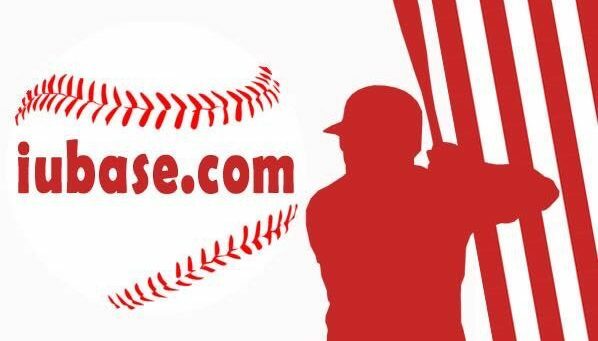 And if you haven’t got to check it out yet here’s our NCAA Tourney 101 including Talking Hoosier Baseball’s Regional preview. Also, can we last nine innings in 100+ degree temperatures as well as the other three teams who are more accustomed to it?